Today, we can find many toothpastes available in the market and all of these claims that they are best for your teeth. I believe that we must choose our toothpastes with lots of care because the fate of our teeth depends on the toothpaste we use. It is very important to not mislead by the advertisements in the media because all the claims made in the advertisements may not be correct. I always decide my toothpaste on the basis of its effectiveness and not just by believing what others say. In the present article, I will review a famous toothpaste brand in India i.e. Dabur Red Toothpaste. This Red brand of Dabur is very old and once Dabur Red tooth powder was number one in its category. However, today most of people have shifted towards the toothpaste as toothpaste is much easier to use as compared to the tooth powders. 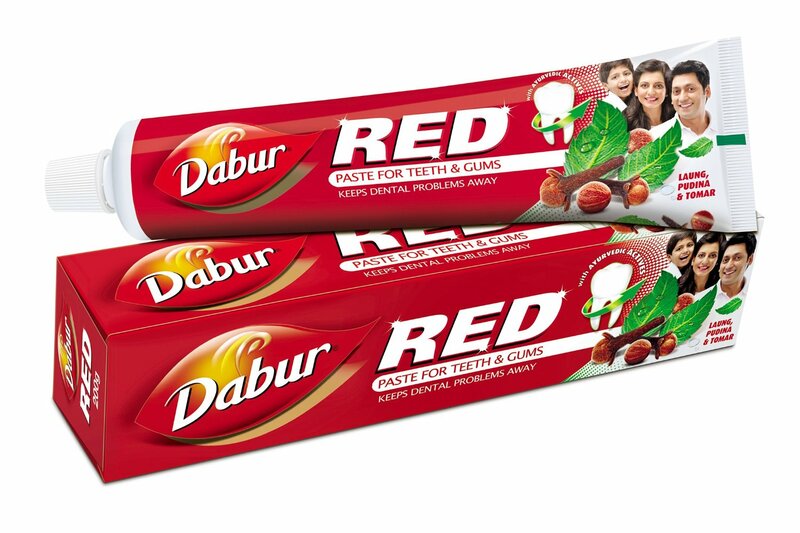 Therefore, Dabur also introduced its Dabur Red Toothpaste which is quite famous with many people. I started using this toothpaste year back when I realized that the toothpaste I am using is high in fluoride, which may be harmful to my health so I looked for an alternate and found it in the form of Dabur Red toothpaste. 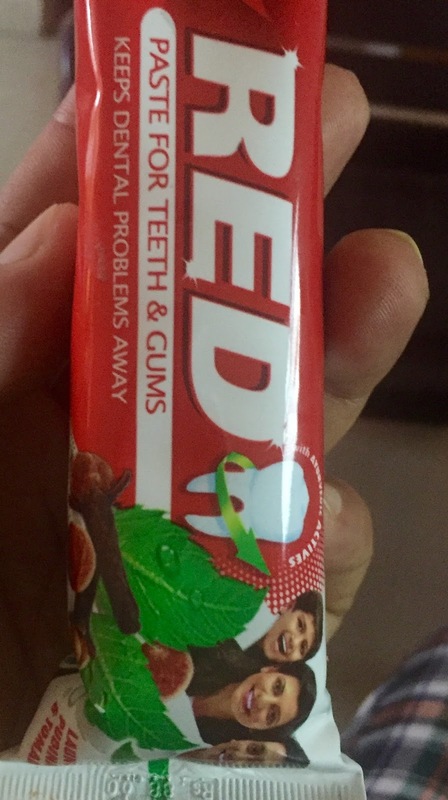 We can clearly see a punch line of the Dabur Red Toothpaste that this toothpaste keeps dental problems away. I do agree with what they are saying. Dabur Red is a wonderful toothpaste and it helps you to effectively clean your teeth what intaking much of harmful chemicals. I will say that Dabur Red Toothpaste is an effective product available in the market and its herbal nature makes it more favorable. I have found it fully satisfactory product and I will rate it 8 out of 10.